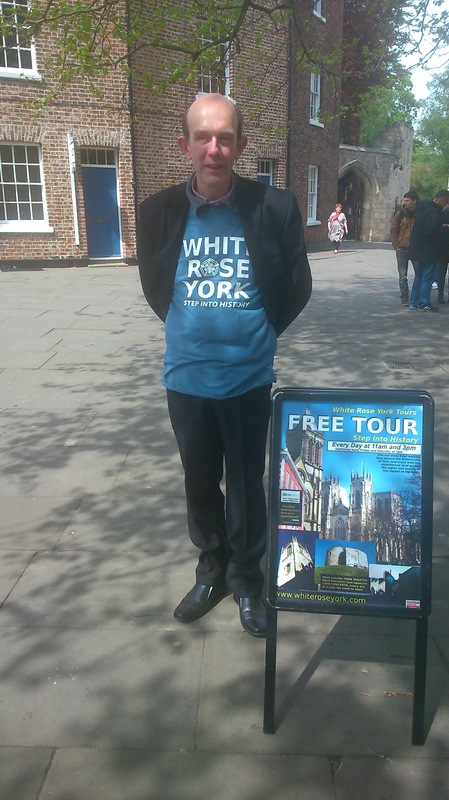 Alan is the proprietor of White Rose York Tours. As well as performing all over the world as a stand-up comedian, he is also the author of several history books. He studied for a BA in English and Drama at University College, Dublin, and has previously been a tour guide in London and Edinburgh. He has also appeared on Mastermind, where he scored a very respectable 26! Although he has been variously described as looking like a pirate, a viking or one of the hairy bikers, you will find that Alan has an extensive knowledge of history and isn’t half as scary as he looks. Chris has spent almost all his life living and working in York, the only significant ‘gap’ in this being when he studied for his degree in English History at the University of East Anglia in Norwich during the 1970’s. During that time he developed a particular interest in the Civil War period joining the ‘Sealed Knot’ a battle re enactment society as a pikeman! Enthusiasm also for the ‘Wars of the Roses’ was further fuelled by ‘Marguerite’ a biography of Queen Margaret of Anjou which he had published in 2002 and in the 18th century by joining the Jane Austen Society and writing the ‘Lucy Ferrars’ crime stories. In addition to working for ‘White Rose’ Chris today offers specialist bookable walks and talks for his own company ‘Musket and Muslin’. Alix is a historian who holds an MA in Ancient History and, far more importantly, a general interest in all periods of history. He is currently working towards yet another degree, and also works as a history tutor, both in a private capacity and also briefly teaching at a London university before moving to York to renew his studies. He has a long association with the city of York; various parts of his family having lived here on and off for about three generations, and eventually, he decided there was nowhere he liked better and moved here permanently. This gives him both a resident’s and a tourist’s, perspective, as he was the latter and is now the former. Dave joined the White Rose York team around a year ago, and when we met him we quickly realised that his knowledge of history is nothing short of phenomenal. A native of Leeds, Dave is Yorkshire through and through and if you let him he’ll talk your ears off about it. Dave also works in the museum inside York Minster where he helps guests get the most out of their experience. Ben was born and bred in York, where he fell in love with both the city and history in general. After going away to Warwick to study German and History at the university there, he quickly realised he couldn’t stay away from the city for long, and after graduation decided he wanted to join our team so he could help others appreciate the city as much as him. Ben has a passion for performing, and is also a member of an improv troupe who recently performed at the Edinburgh Fringe, and likes to add a touch of theatre to the history on his tours. Would like you to know how pleased we were with our tour with David on Sunday. His knowledge is impressive but it is his enthusiasm for his subject which makes him special. 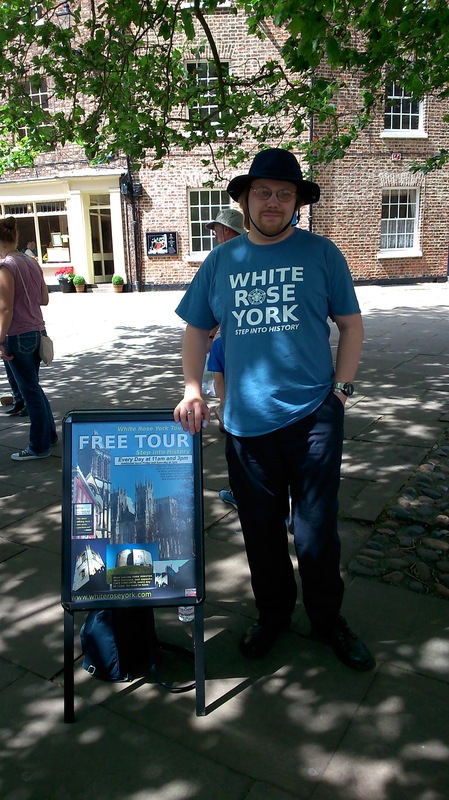 He suggested we leave a review on TripAdvisor if we were pleased with our tour, and I have just done that (you will find my review as ‘Sunseeker’) David’s tour was a perfect start to our short break in York – thank you. Our family had a fantastic tour with Alex 2 weeks ago. It was raining during the whole tour but Alex’s narrative was so captivating and fun that my husband and I and our children completely forgot about the rain and thoroughly enjoyed the walk. Citylife Nottingham says thanks you for the amazing tour in York last week! Looking forward to the next one! We loved it! 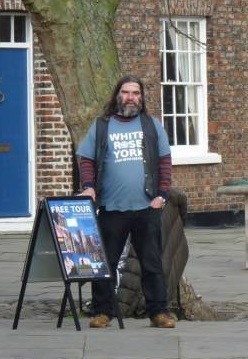 Alan is so funny in teaching history on the ways though York. We really enjoyed our tour this June. We were not aware that the tour takes 3 hours, so may be you should inform about that for better planning, but it was worth every step and every minute! Great tour, great tourguide! Thank you! We enjoyed David’s tour the full 3 hours, he even asked if we would like to go on for another hour. If we hadn’t booked a table for dinner and if my feet weren’t killing me I would have accepted his offer. David is very enthusiastic, has a vast historical knowledge and a great sense of humor. Despite his yorkshire accent I had no problems understanding him (I’m Dutch). This 3 hour tour is highly recommended. 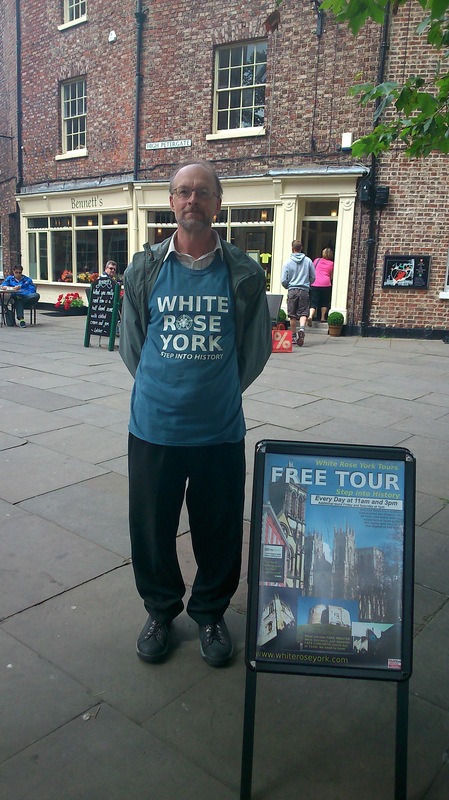 Absolutely fantastic tour, I would recommended this to anyone with an interest in the history of York. Alan made the tour exceptionally interesting and amusing. A must do for all visitors to this fascinating city. I have done 3 tours – one with Alan and two with Alix .All three were really good . Saw something different every time . My sister in law is coming from Peterborough for the day to do one with me in May .The tours are very informative . I don’t know how the guides remember all the facts and figures ! Mind boggling !